The best part of being a doctor at Cancer Treatment Centers of America® is getting to work with a team of skilled clinicians who collaborate under one roof to determine the best, individualized treatment options for our patients. Doctor of Medicine - Georgetown University School of Medicine, Washington, D.C. Prior to medical school, Dr. Muilenburg spent two years researching biochemical processes of the immune system at the University of California-San Francisco. He then earned his medical degree from Georgetown University School of Medicine in Washington D.C. Following medical school, he returned to the West Coast to complete a surgical internship and residency at the University of California-Davis Medical Center in Sacramento, California. Having committed himself to the study of Surgical Oncology, Dr. Muilenburg spent an additional two years during residency researching the biochemical mechanisms of pancreatic cancer’s resistance to chemotherapy. 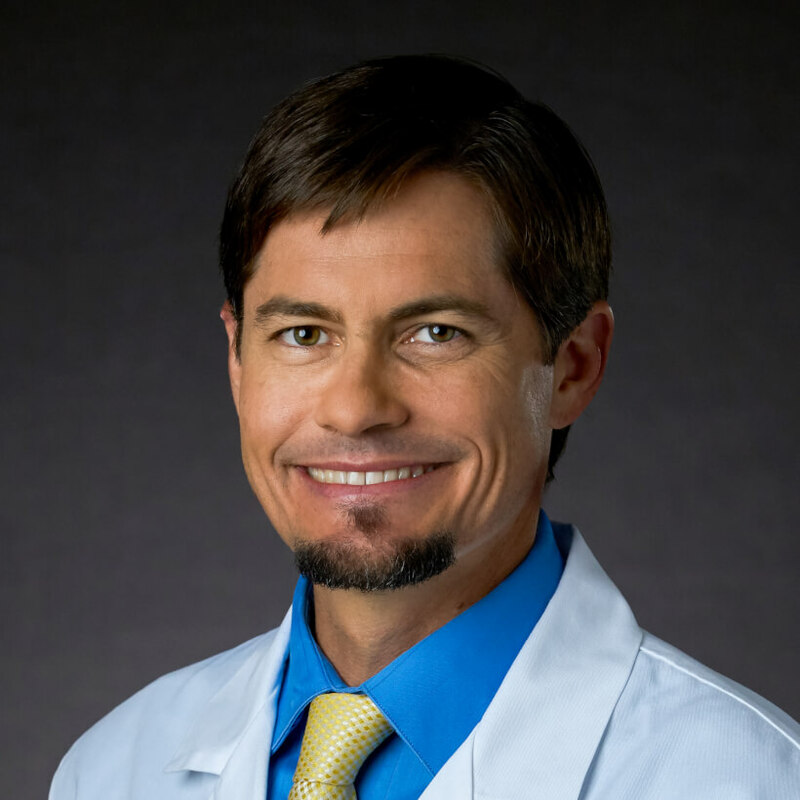 After finishing his chief residency in Sacramento, California, Dr. Muilenburg moved across the country again for the final stage of his training at the H. Lee Moffitt Cancer Center in Tampa, Florida, completing a two-year fellowship in complex general surgical oncology, including additional clinical research in the treatment of advanced stage melanoma. Dr. Muilenburg joined CTCA in February 2017, after working as a private practice surgical oncologist in Portland, Oregon for several years. He is committed to advancing the surgical treatment of cancer, integrating the latest technologies and techniques when possible to help his cancer patients. He is particularly interested in minimally invasive surgical options, including the use of da Vinci® robotic surgery. Dr. Muilenburg is certified by the American Board of Surgery in both General Surgery and Complex General Surgical Oncology. He is a member of the American College of Surgeons as well as the Society of Surgical Oncology. Throughout his career, Dr. Muilenburg has authored peer-reviewed original research publications and presented his work at multiple surgical and oncology symposia. Dr. Muilenburg is an experienced sailor, having crossed the Atlantic Ocean several times and raced in numerous regattas. He also enjoys many outdoor sports and activities with his wife and two children, including mountain biking, hiking, skiing and tennis.